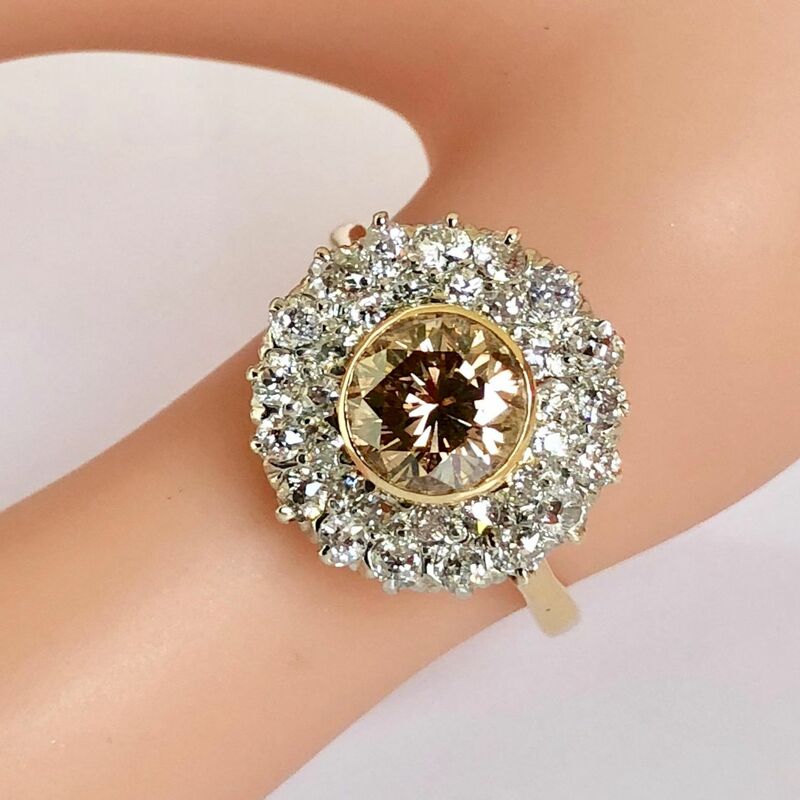 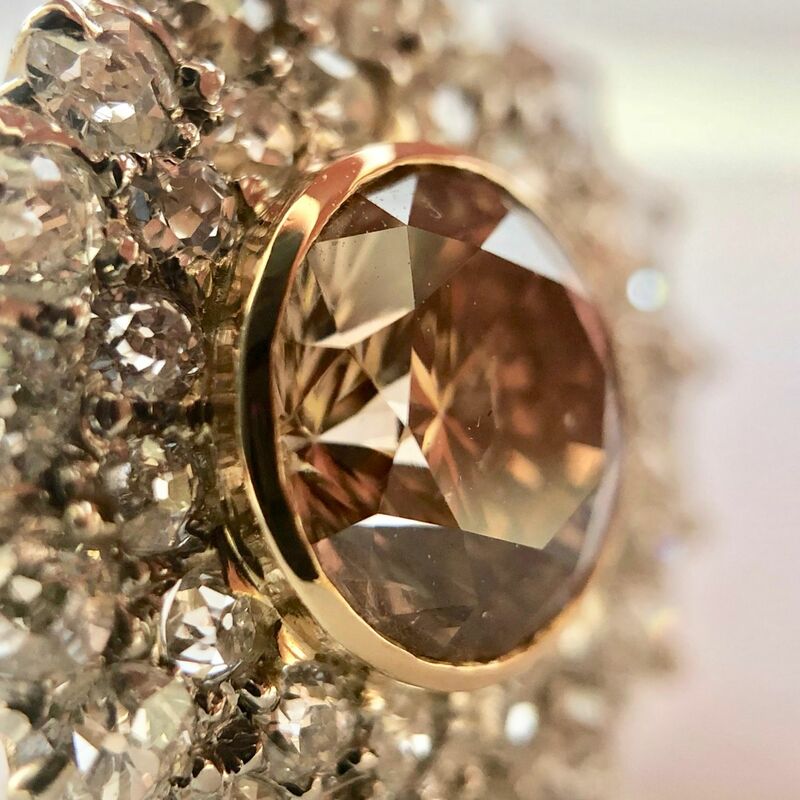 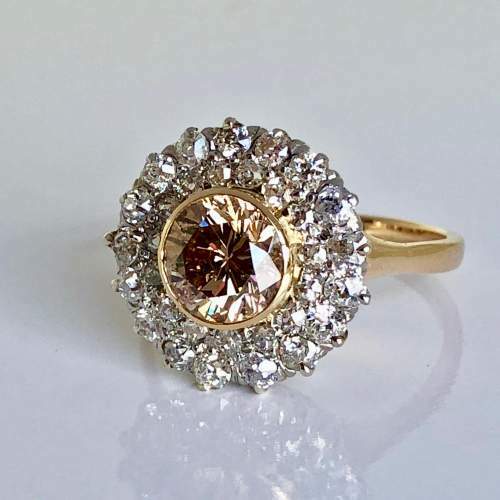 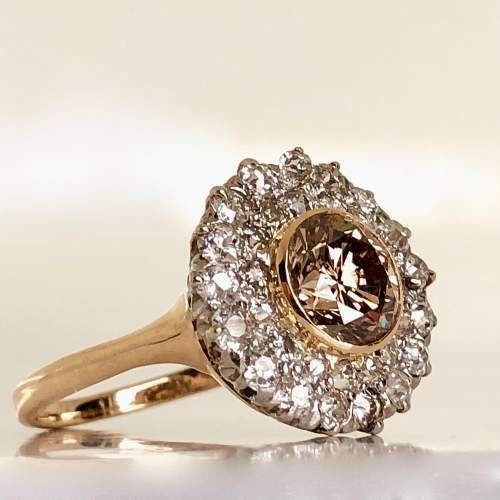 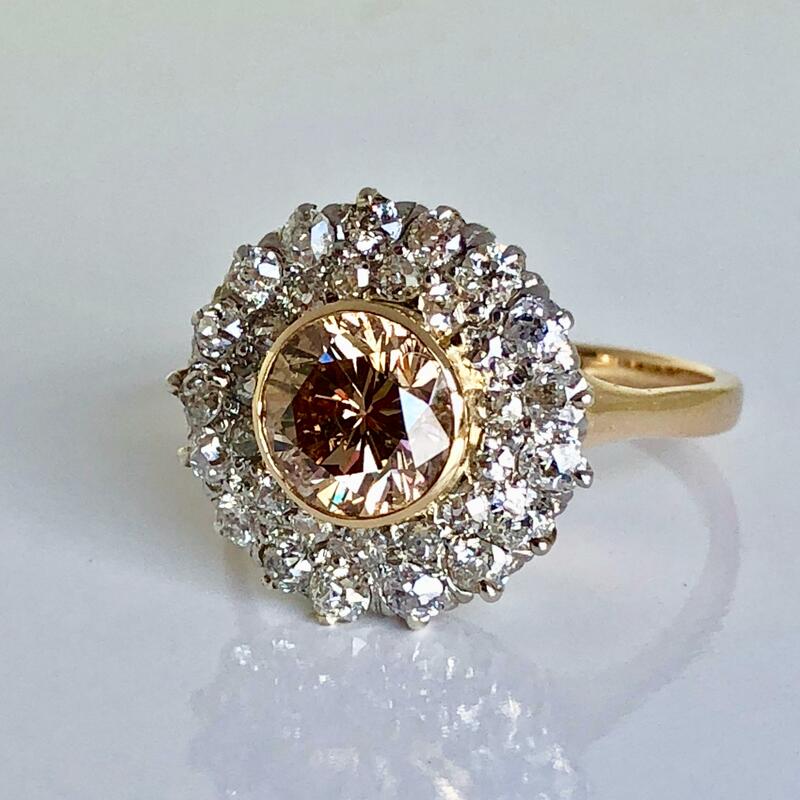 A rare peachy champagne diamond - surrounded by old cut stones, can be remounted in a setting of your choice. 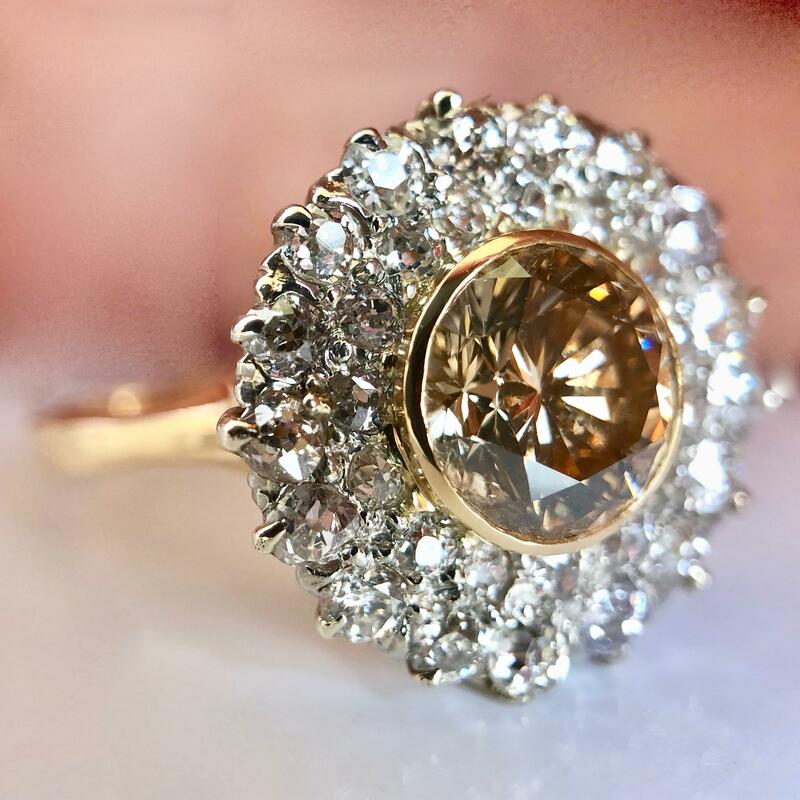 one round brilliant cut coloured diamond weighing approximately 1.65 carats. 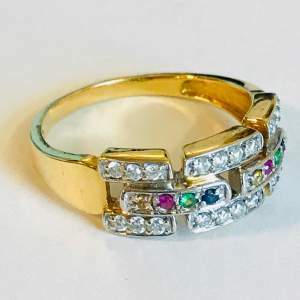 32 old mine cut diamonds weighing approximately 1.05 carats total.